Boss Tools warrants to the original purchaser only that the power unit for the Boss Tools brand of tool sets will be free from defects in material and/or workmanship for a period of one year from the date of purchase. If purchased from an Authorized Dealer, DO NOT return your product to the place of purchase. Call 1-877-320-8203 between the hours of 7:30AM – 5PM Monday-Thursday and 8:00AM-Noon on Friday (All Times U.S. Eastern Time) to obtain return instructions and a Return Authorization Number (RA#). Write the RA#on a copy of your original receipt and include with the tool to be returned. Remove any accessories (discs), leave the attachment washer and screw attached to the tool. Only Return the Tool. The bag, other accessories, discs, sharpeners and/or instructions should not be returned. Securely wrap the Hoof Boss trimming tool with Bubble Wrap. Include the copy of your original receipt with the RA#. Securely pack the Hoof Boss trimming tool into a box appropriate for shipping. Return to the address given to you when you received your RA#. We recommend insuring the package against loss or in-transit damage for which we cannot be responsible. Damage to the product resulting from tampering, accident, abuse, negligence, unauthorized repairs or alterations, unapproved attachments or other causes unrelated to problems with material or workmanship is not covered by this warranty. Any implied warranties shall be limited in duration to one year from date of purchase. No employee, agent, dealer or other person is authorized to give any warranties on behalf of Boss Tools products from Boss Tools. Boss Tools makes no other warranty of any kind whatsoever, express or implied, and all implied warranties of merchantability and fitness for a particular purpose which exceed the above-mentioned obligation are hereby disclaimed by Boss Tools and excluded from this limited warranty. Some states in the U.S. and some Canadian provinces do not allow limitations on how long an implied warranty lasts, so the above limitation may not apply to you. In no event shall Seller be liable for any incidental or consequential damages (including but not limited to liability for loss of profits) arising from the incidental or consequential damages. This limited warranty applies only to the power unit in the Hoof Boss Tool Sets sold within the United States of America, Canada and the Commonwealth of Puerto Rico. For warranty coverage within other countries contact us at support@mybosstools.com. Repairs made necessary by normal wear or abuse outside the warranty period, if they can be made, will be charged at regular service prices. 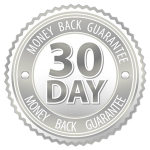 We’re so confident you’ll love the Hoof Boss, we’re offering a 30-day risk-free trial. If for any reason you don’t love it, please return it within 30 days of purchase for a full refund.